The Rebel Sweetheart. : Sneak Peek | Peripera Dal Dal Factory Collection. Our next trip to Seoul is just a few more days away, and I can't wait to set foot again in the land of K-pop, K-drama, and K-beauty! I've been putting off buying new makeup for the past few weeks, constantly telling myself that I can do all the shopping when I return to Korea and have my husband pay for all of it, lol! I actually made a list of the stuff that I need to buy - because I'm OC, yes - and that includes skincare products, tons of sheet masks, and makeup - lots of them. Haha! On my list is the Dal Dal Factory Collection, Peripera's latest offering for the summer. Peripera Dal Dal Factory Collection! Released just two days ago (that's May 16), this limited edition collection boasts of brilliant colors and a charming candy store vibe. The Dal Dal Factory Collection features ten eye candy products, including the best-selling Airy Ink Cushion and the all-new Ink Gelato. 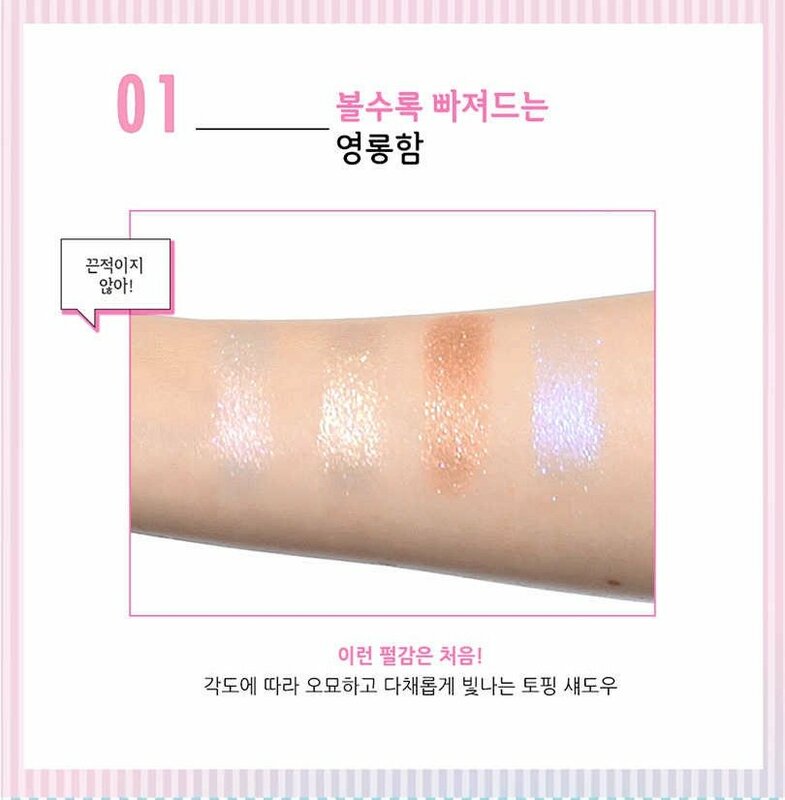 Dal Dal Factory Airy Ink Cushion, 14000 won. The Airy Ink Cushion comes in a special packaging, reminiscent of the cushions from last winter's Pearly Night Collection. 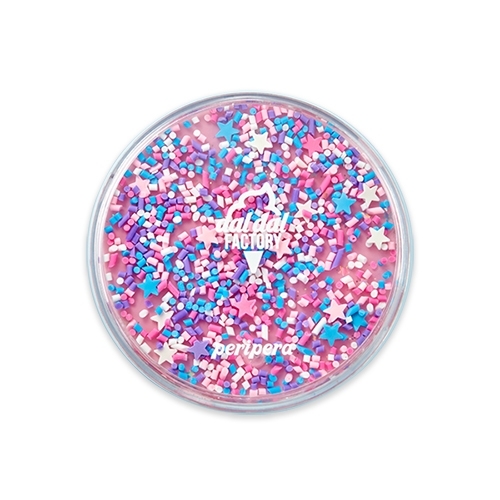 The cushion case also has candy-colored sparkles that move around when you tilt and shake it. It does look like a doughnut, doesn't it? There's also an eyeshadow palette with four glittery shades. This one's called the Sugar Twinkle Glitter Palette, and the name very much speaks for itself. Dal Dal Factory Sugar Twinkle Glitter Palette, 16000 won. Also on the glittery side of the spectrum are these lip tints - the Sugar Lip Glitter which comes in two shades. 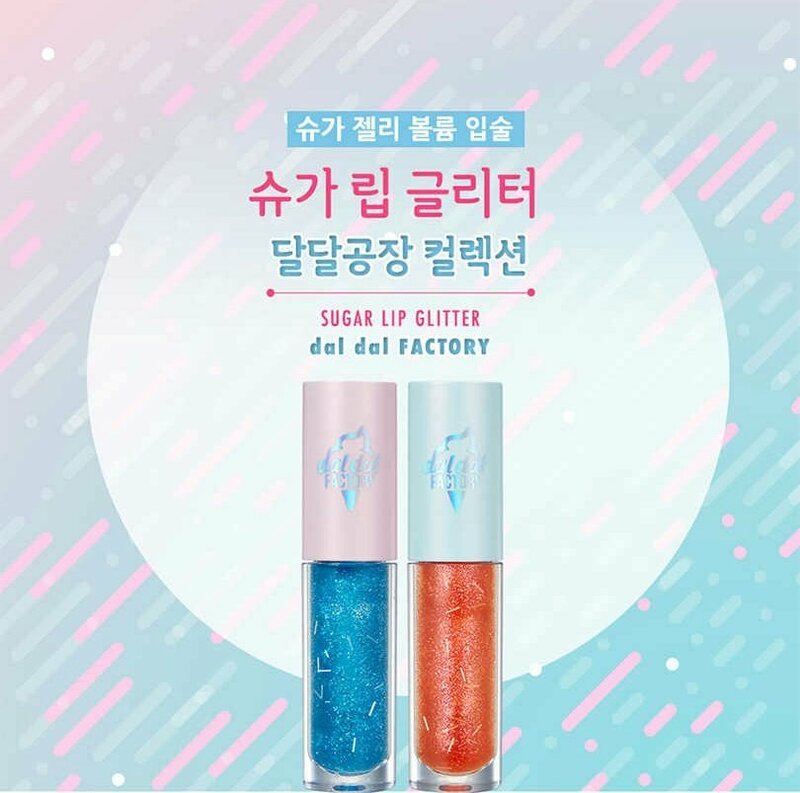 Dal Dal Factory Sugar Lip Glitter, 9000 won each. Shade number 1 is called Space Blue, while shade number 2 is called Orange Spring. If glittery lips aren't your thing, then the all-new Ink Gelato might be more to your liking. 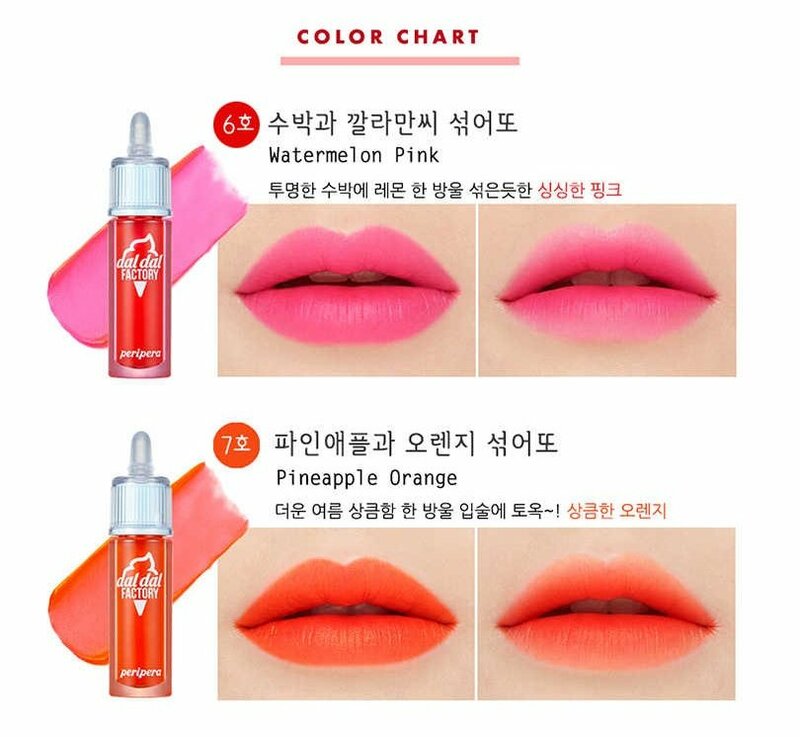 This product combines the characteristics of a moist, glide-in-your-lips watery tint with the soft and smooth finish of a lipstick. Dal Dal Factory Ink Gelato, 9000 won each. 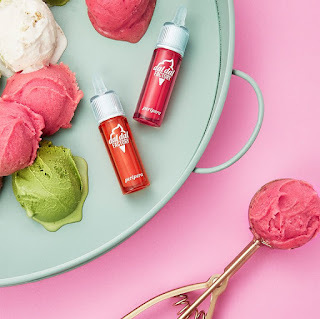 The Ink Gelato comes in two new shades - Watermelon Pink and Pineapple Orange. Watermelon Pink and Pineapple Orange. Also included in the collection is the Ink Blurring Skin Tint which works as a primer to blur pores, even out skin tone, and make your skin look healthy and flawless. 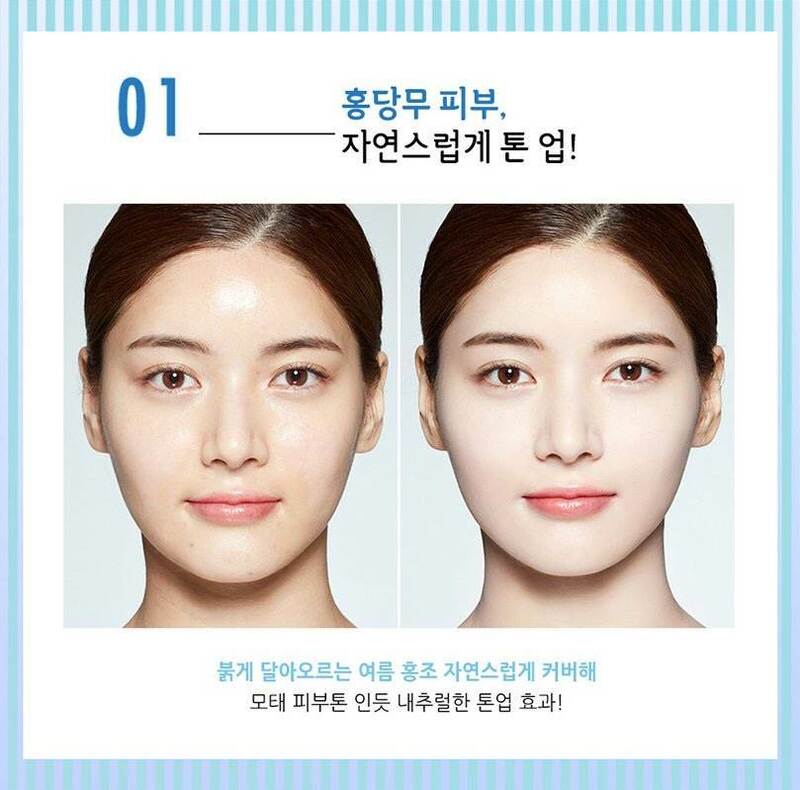 Ink Blurring Skin Tint, 10000 won. While the regular Ink Blurring Skin Tint comes in four different shades, this one comes in one shade only - Mint Tone-up. Bare-faced on the left, with the Ink Blurring Skin Tint on the right. Another interesting product in this collection is the Sticker Mask, which is basically a smaller version of the regular sheet mask. Each pack comes with several 'stickers' and you're supposed to use all of them at once to cover your entire face. Well, sort of. Photo credit: Hanahana1214 on Naver. Finally, we have the star of the Dal Dal Factory Collection - the Peripera Mini Fridge! Peripera Mini Fridge, 25000 won. Like last year's Mini Luggage set, the Mini Fridge comes with five Peripera products in miniature sizes. This set includes two Vivid Tint Water minis - #2 Peach Squeeze and #6 Strawberry Squeze; an Ink Velvet mini in #16 Girlish Red; an Ink Cheek which I reckon is their Velvet Cheek blush in 'ink' form, and the Ink Multi Shadowing which functions as a shading/contouring cream and an eyeshadow. What makes this Mini Fridge different from the previous 'mini' collections are the little toys that come with it. Little toys that you can play with! They have tiny cola cans and little milk cartons that you can decorate with stickers and display inside the fridge. How cute is that?! The Peripera Dal Dal Factory is now available at Clio/Peripera stores across South Korea. No news yet if they're going to be released here in the Philippines, but you might want to join Club Clio's first ever Birthday Blowout happening this weekend. Everything on sale at all Clio stores to celebrate their first year here in the Philippines! The ink Gelston color so nice. Soft texture. And I also like the sticker mask. It looks fun. I love the packaging on these they are so fun. They look like they'd be really great makeup products too. 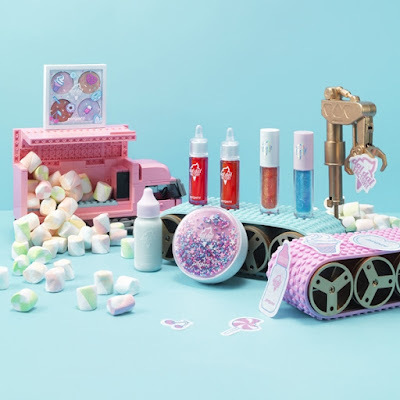 What a fun line of makeup and skin care, the packaging is adorable. 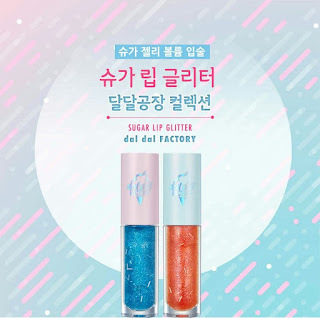 I really like both of the Sugar Lip Glitter colors, although I may need to get two of each. My oldest daughter would love them too. These are SO CUTE! Really grabs your attention! I love when people make their products appealing and cute! O wow for a second I thought it was candy. I just love colors and this was fun to stare at. 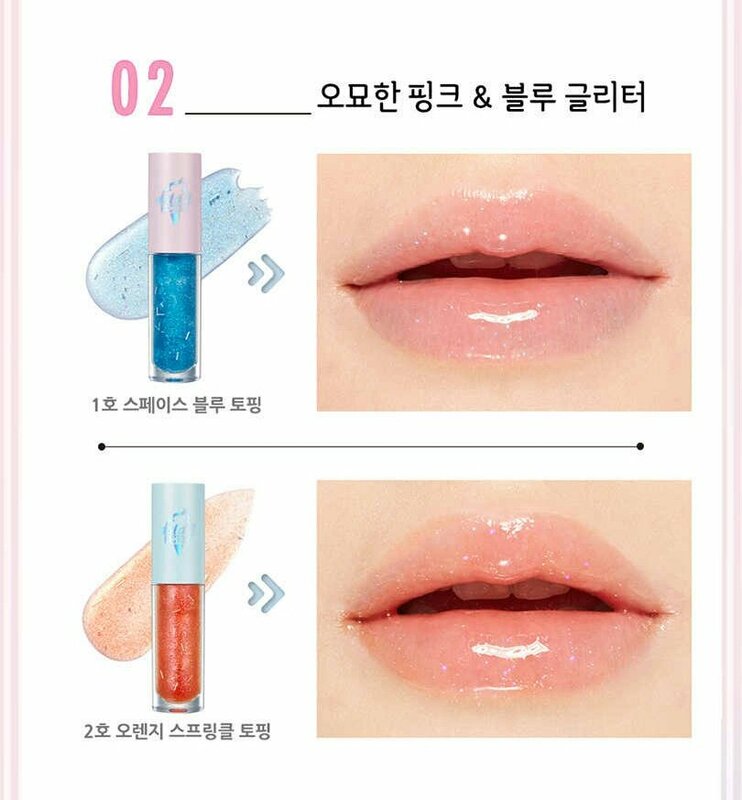 Those ink gelato lip colors look so fun, especially the orange shade. I love how fun and flirty these products are. They make me happy just looking at them. Wow! Such a beautiful packaging for this product and it looks like a good collection I will definitely check this out in the market. The Dal Dal Factory Collection really have very cute products which all girls like. 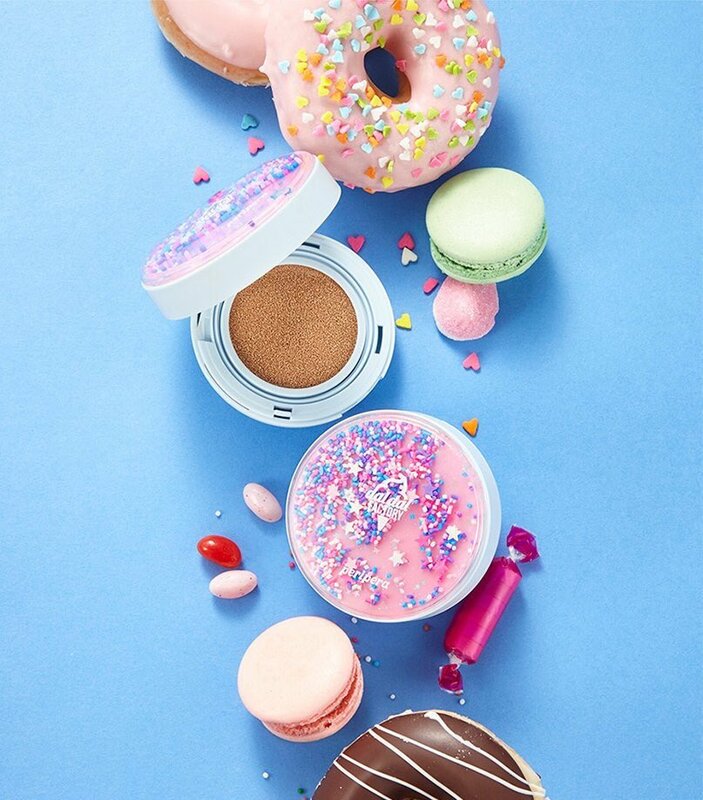 I do like the the doughnut look a lot and find it so interesting! 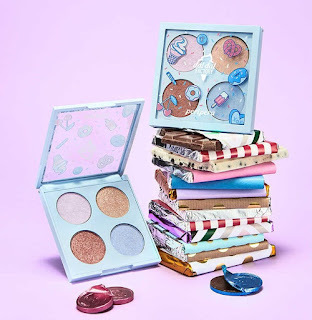 That Twinkle Glitter Palette set is just what I need! I've never heard of these before, thanks for sharing these adorable selections! My daughter would love these! She is starting to get into make-up. I love that the colors are subtle and not too bold. It's perfect for young girls. Wow! Those really look like you're wearing a doughnut! Adorable! So many cute things!! I love that sticker mask, super interesting. Have fun in Seoul! Aren't those the cutest things ever? This is 100% my style. I love these! These are so cute and look adorable enough to eat. So pretty! I love all of the colors in the new line. I don't wear anything too glittery all that often, but these look too perfect! OMG , I love Peripera, I have this with their luggage collection. I have to look into this. I love how cute these products look! I love this! It's cute makeup and I love the packaging. So bright and beautiful! The mini fridge is killing me! That is too adorable to handle! I think the collections great! Except for the face masks, I'm a little hesitant because it doesn't really cover your entire face, cute though!